Convenient 500 count boxes means glove are always close at hand. 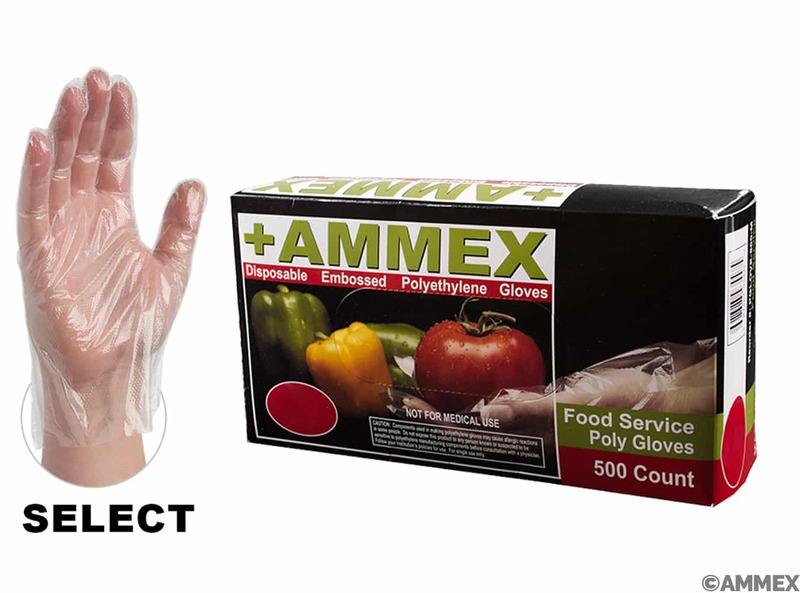 AMMEX poly gloves are perfect for food service and food preparation especially when frequent glove changes are required. Clear, ambidextrous, powder free, embossed polyethylene. Size Large.